Somerset, Gloucestershire and Wiltshire are among Britain's finest counties in terms of habitat diversity, and their avifaunas are comparatively rich as a result. 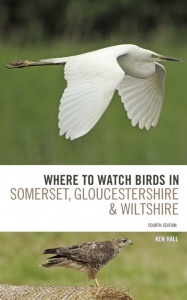 Much has changed in the region since the previous edition of this book – the famous Avalon marshes, for example, have become one of Britain's finest hotspots for wetland birds, for example – but this brand-new fourth edition offers a completely updated review of all the major sites, and many more lesser known ones, with new text and fully revised maps throughout. Where to Watch Birds in Somerset, Gloucestershire and Wiltshire is indispensable for any birder looking to head out into this ornithologically special corner of England.